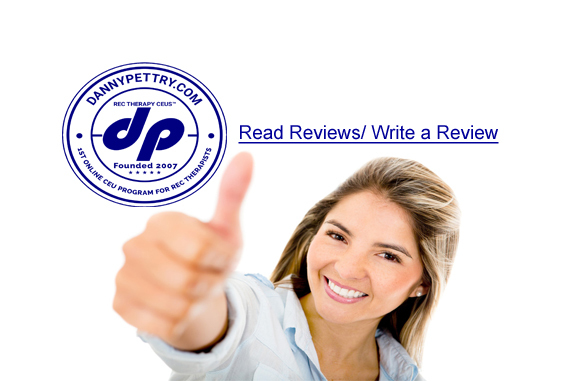 On a scale of (0) none to (10) a lot – how likely are you to use DannyPettry.com: Rec Therapy CEUs in the next year? Overall, 77% of webinar attendees selected 8 to 10 as likely to take a self-study course! Because it is so helpful. It was great info. I would recommend it to anyone. I have took many CEUs from this website and I enjoy them. I like the free ones! Because your CEU opportunities are accessible and at times free! I always use this site, it is excellent! I like the option of a self paced course. There was a lot of valuable/applicable information. I enjoy the CEUs, and I can tell Danny truly cares about us as Rec Therapists. There was the discount provided from this course. I prefer to attend Conferences and workshops but love the conveniences of obtaining CEUs online too. I enjoy being able to get CEUs at home. Danny’s courses are very informative and easily accessible. Great way to get CEU’s!